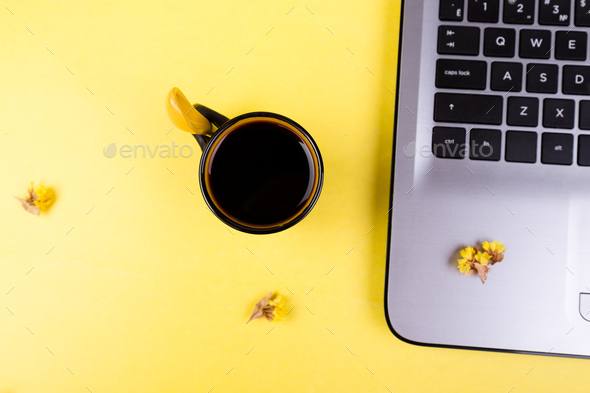 Notebook, coffee and flowers for female home or office workplace on yellow background. top view. Copy space.